From wannabe gangster, to wannabe MMA fighter... 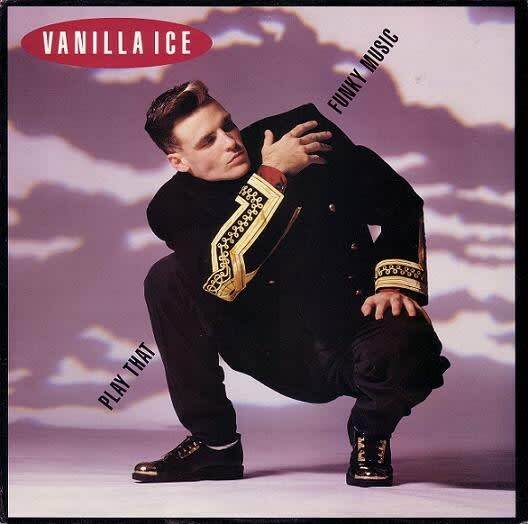 Looking back, it seems that Vanilla Ice may have actually been the greatest, most elaborate ongoing prank in pop culture history. Seriously, a to-the-extreme rapper gets street cred when he's wearing star-spangled windbreakers and Hammer-esque pants? He was basically Robert Matthew Van Winkle's Borat, punk'ing America into wicked album sales and a Grammy nomination. Two decades later, though, it's still not clear who got the last laugh.